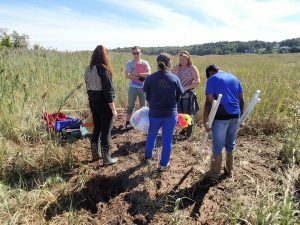 Can biochar improve crop yields? Buckets of pine wood biochar. If you walk through the lush Amazon rainforest, the huge trees may be the first thing you see. But, did you know there are wonderful things to explore on the forest floor? In special places of the Amazon, there exist incredible dark soils called “Terra Preta”. These soils are rich in nutrients that help plants grow. The main source of nutrients and dark color is from charcoal added by humans. Hundreds of years ago the indigenous people added their cooking waste, including ash from fire pits, into the ground to help their food crops grow. Today, scientists and farmers are trying out this same ancient method. When this charcoal is added to soil to help plants grow, we call it biochar. Biochar is a pretty unique material. It is created by a special process that is similar to burning materials in a fire place, but without oxygen. Biochar can be made from many different materials. Most biochar has lots of tiny spaces, or pores, that cause it to act like a hard sponge when it is in the soil. Due to these pores, the biochar can hold more water than the soil can by itself. Along with that extra water, it also can hold nutrients. Biochar has been shown to increase crop yield in tropical places like the Amazon. Farmers in western Colorado wanted to know what would happen if they added biochar to fields near them. Their farms experience a very different climate that is cooler and drier than the Amazon. In these drier environments, farmers are concerned about the amount of water in the soil, especially during droughts. 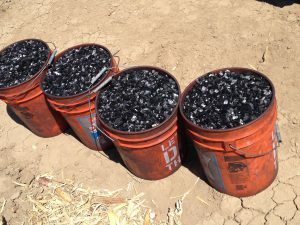 Farmers had so many questions about how biochar works in soils that scientists at Colorado State University decided to help. One scientist, Erika, was curious if biochar could really help farms in dry Colorado. Erika thought that biochar could increase crop yield by providing pores that would hold more water in the soil that crop plants can use to grow. Matt, a soil scientist, applying biochar to the field in a treatment plot. 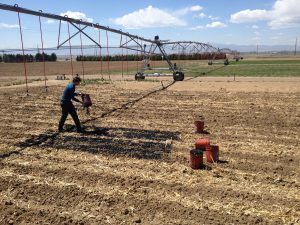 To test the effects of biochar in dry agricultural environments, Erika set up an experiment at the Colorado State University Agricultural Research and Development Center. She set up plots with three different soil conditions: biochar added, manure added, and a control. She chose to include a manure treatment because it is what farmers in Colorado were currently adding to their soil when they farmed. For each treatment she had 4 replicate plots, for a total of 12 plots. She added biochar or manure to a field at the same rate (30 Megagrams/ ha or 13 tons/acre). She didn’t add anything to control plots. Erika then planted corn seeds into all 12 plots. Erika also wanted to know if the effects of biochar would be different when water was limited compared to when it was plentiful. She set up another experimental treatment with two different irrigation levels: fullirrigationandlimitedirrigation. The full irrigation plots were watered whenever the plants needed it. The limited irrigation plots were not watered for the whole month of July, giving crops a drought period during the growing season. Erika predicted that the plots with biochar would have more water in the soil. She also thought that corn yields would be higher with biochar than in the manure and control plots. She predicted these patterns would be true under both the full and limited irrigation treatments. However, she thought that the biochar would be most beneficial when crops were given less water in the limited irrigation treatments. To measure the water in the soil, Erika took soil samples three times: a few weeks after planting (June), the middle of the growing season (July), and just before corn harvest (September). She weighedout 10 gofmoistsoil, thendried the samples for24 hoursin an oven and weighed them again. By putting the soil in the oven, the water evaporates out and leaves just the dry soil. Sarah divided the weight of the water lost by the weight of the dry soil to calculate the percent soil moisture. At the end of the season she measured crop yield as the dry weight of the corn cobs in bushes per acre (bu/acre). 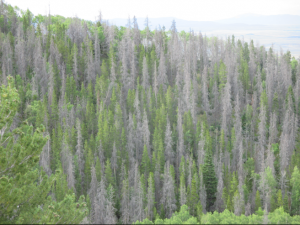 A Colorado forest impacted by a mountain pine beetle outbreak. Notice the dead trees mixed with live trees. Forests like this with dead trees from mountain pine beetle outbreaks cover millions of acres across western North America. A beetle the size of a grain of rice seems insignificant compared to a vast forest. However, during outbreaks the number of mountain pine beetles can skyrocket, leading to the death of many trees. The beetles bore their way through tree bark and introduce blue stain fungi. The blue stain fungi kills the tree by blocking water movement. Recent outbreaks of mountain pine beetles killed millions of acres of lodgepole pine trees across western North America. Widespread tree death caused by mountain pine beetles can impact human safety, wildfires, nearby streamflow, and habitat for wildlife. Mountain pine beetles are native to western North America and outbreak cycles are a natural process in these forests. However, the climate and forest conditions have been more favorable for mountain pine beetles during recent outbreaks than in the past. These conditions caused more severe outbreaks than those seen before. 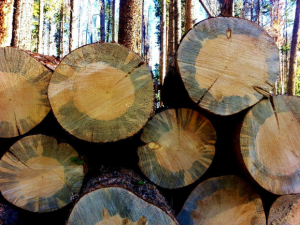 Logs from mountain pine beetle killed lodgepole pine trees. The blue stain fungi is visible around the edge of each log. Mountain pine beetles introduce this fungus to the tree. When Tony moved to Colorado, he drove through the mountains eager to see beautiful forests. The forest he saw was not the green forest he expected. Many of the trees were dead! Upon closer examination he realized that some forests had fewer dead trees than others. This caused him to wonder why certain areas were greatly impacted by the mountain pine beetles while others had fewer dead trees. Tony later got a job as a field technician for Colorado State University. During this job he measured trees in mountain forests. He carefully observed the forest and looked for patterns of where trees seemed to be dead and where they were alive. Tony thought that the size of the trees in the forest might be related to whether they were attacked and killed by beetles. A larger tree might be easier for a beetle to find and might be a better source of food.To test this idea, Tony and a team of scientists visited many forests in northern Colorado. At each site they recorded the diameter of each tree’s trunk, which is a measure of the size of the tree. They also recorded the tree species and whether it was alive or dead. They then used these values to calculate the average tree size and the percent of trees killed for each site. Vorster, A.G., Evangelista, P.H., Stohlgren, T.J., Kumar, S., Rhoades, C.C., Hubbard, R.M., Cheng, A.S., & Elder, K. (2017). Severity of a mountain pine beetle outbreak across a range of stand conditions in Fraser Experimental Forest, Colorado, United States. Forest Ecology and Management 389:116-126. Are forests helping in the fight against climate change? 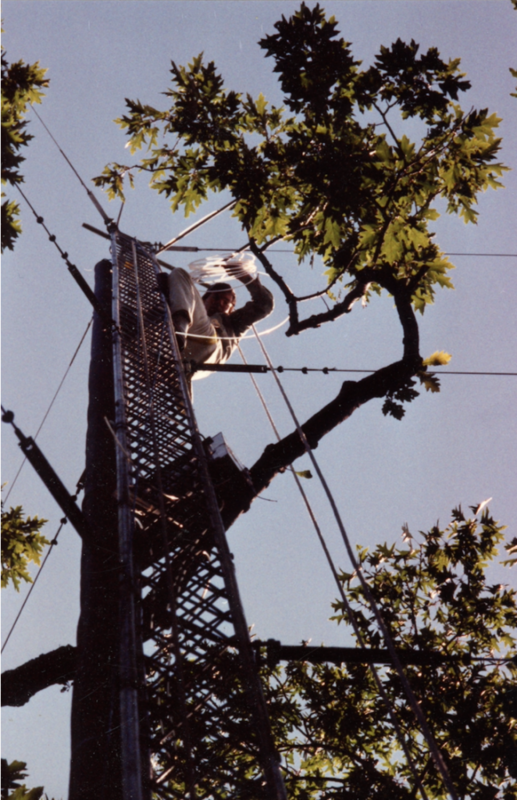 Bill setting up a large metal tower in Harvard Forest in 1989, used to measure long-term CO2 exchange. As humans drive cars and use electricity, we release carbon in the form of carbon dioxide (CO2) into the air. Because CO2 helps to trap heat near the surface of the earth, it is known as a greenhouse gas and contributes to climate change. However, carbon is also an important piece of natural ecosystems, because all living organisms contain carbon. For example, when plants photosynthesize, they take CO2 from the air and turn it into other forms of carbon: sugars for food and structural compounds to build their stems, roots, and leaves. When the carbon in a living tree’s trunk, roots, leaves, and branches stays there for a long time, the carbon is kept out of the air. This carbon storage helps reduce the amount of CO2 in the atmosphere. However, not all of the CO2 that trees take from the air during photosynthesis remains as part of the tree. Some of that carbon returns to the air during a process called respiration. Another important part of the forest carbon cycle happens when trees drop their leaves and branches or die. The carbon that the tree has stored breaks down in a process called decomposition. Some of the stored carbon returns to the air as CO2, but the rest of the carbon in those dead leaves and branches builds up on the forest floor, slowly becoming soil. Once carbon is stored in soil, it stays there for a long time. We can think of forests as a balancing act between carbon building up in trees and soil, and carbon released to the air by decomposition and respiration. When a forest is building up more carbon than it is releasing, we call that area a carbon sink, because overall more CO2 is “sinking” into the forest and staying there. On the other hand, when more carbon is being released by the forest through decomposition and respiration, that area is a carbon source, because the forest is adding more carbon back into the atmosphere than it is taking in through photosynthesis. In the 1990s, scientists began to wonder what role forests were having in this exchange of carbon in and out of the atmosphere. Were forests overall storing carbon (carbon sink), or releasing it (carbon source)? Bill is one of the scientists who decided to explore this question. Bill works at the Harvard Forest in central Massachusetts, a Long-Term Ecological Research site that specializes in setting up big experiments to learn how the environment works. Bill and his team of scientists realized they could measure the CO2 coming into and out of an entire forest. They built large metal towers that stand taller than the forest trees around them and use sensors to measure the speed, direction, and CO2 concentration of each puff of air that passes by. Bill compares the CO2 in the air coming from the forest to the ones moving down into the forest from the atmosphere. With the CO2 data from both directions, Bill calculates the Net Ecosystem Exchange (or NEE for short). When more carbon is moving into the forest than out, NEE is a negative number because CO2 is being taken out of the air. This often happens during the summer when trees are getting a lot of light and are therefore photosynthesizing. 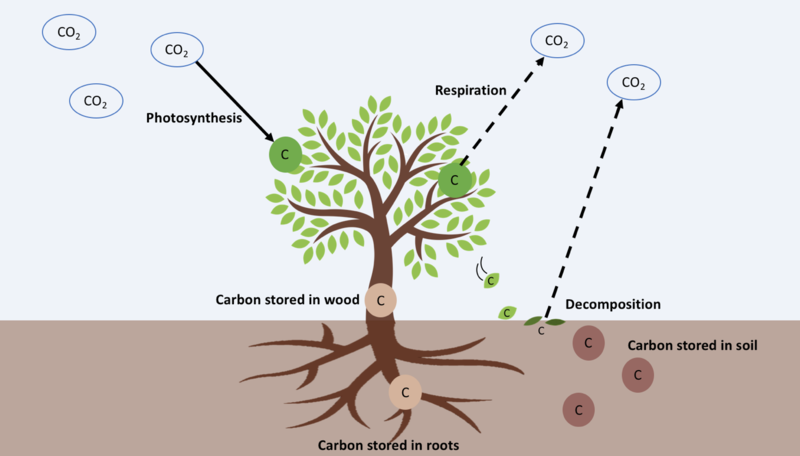 When more CO2 is leaving the forest, it means that decomposition and respiration are greater than photosynthesis and the NEE is a positive number. This typically happens at night and in the winter, when trees aren’t photosynthesizing but respiration and decomposition still occur. By adding up the NEE of each hour over a whole year, Bill finds the total amount of CO2 the forest is adding or removing from the atmosphere that year. Bill and his team were very interested in understanding NEE because of how important it is to the global carbon cycle, and therefore to climate change. They wanted to know which factors might cause the NEE of a forest to vary. Bill and other scientists collected data on carbon entering and leaving Harvard Forest for many years to see if they could find any patterns in NEE over time. By looking at how the NEE changes over time, predictions can be made about the future: are forests taking up more CO2 than they release? Will they continue to do so under future climate change? Wofsy, S.C., Goulden, M.L., Munger, J.W., Fan, S.M., Bakwin, P.S., Daube, B.C., Bassow, S.L. and Bazzaz, F.A., 1993. Net exchange of CO2 in a mid-latitude forest. Science, 260(5112), pp.1314-1317. Goulden, M.L., Munger, J.W., Fan, S.M., Daube, B.C. and Wofsy, S.C., 1996. Exchange of carbon dioxide by a deciduous forest: response to interannual climate variability. Science, 271(5255), pp.1576-1578. Barford, C.C., Wofsy, S.C., Goulden, M.L., Munger, J.W., Pyle, E.H., Urbanski, S.P., Hutyra, L., Saleska, S.R., Fitzjarrald, D. and Moore, K., 2001. Factors controlling long-and short-term sequestration of atmospheric CO2 in a mid-latitude forest. Science, 294(5547), pp.1688-1691. Urbanski, S., Barford, C., Wofsy, S., Kucharik, C., Pyle, E., Budney, J., McKain, K., Fitzjarrald, D., Czikowsky, M. and Munger, J.W., 2007. Factors controlling CO2 exchange on timescales from hourly to decadal at Harvard Forest. Journal of Geophysical Research: Biogeosciences, 112(G2). 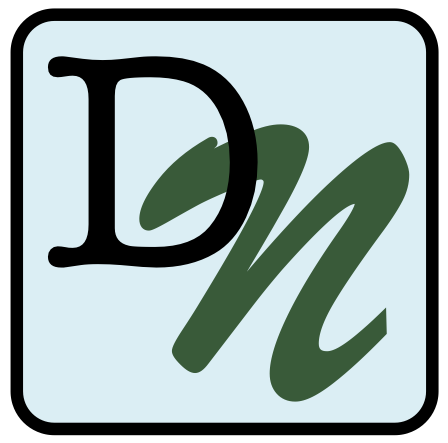 Wehr, R., Munger, J.W., McManus, J.B., Nelson, D.D., Zahniser, M.S., Davidson, E.A., Wofsy, S.C. and Saleska, S.R., 2016. Seasonality of temperate forest photosynthesis and daytime respiration. Nature, 534(7609), p.680. 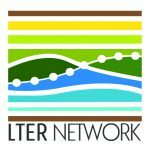 Our Changing Forests Schoolyard Ecology project – Do your students want to get involved with research monitoring carbon cycles in forests? 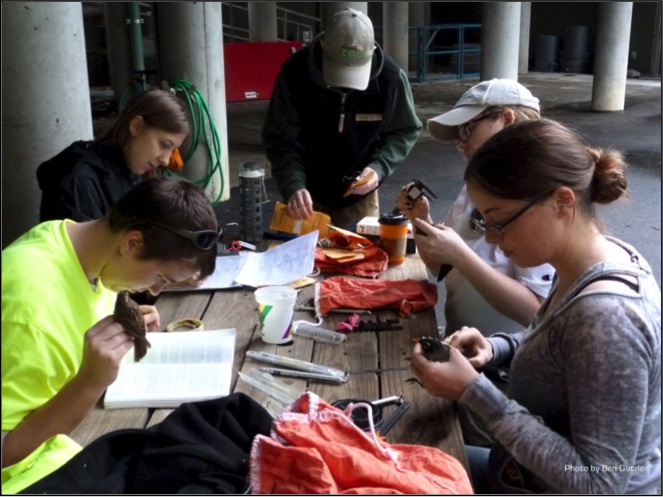 Check out this hands-on field investigation, led by a team of Ecologists at Harvard Forest. Students can contribute to this study by monitoring a 20 meter by 20 meter plot in a wooded area near their schools. 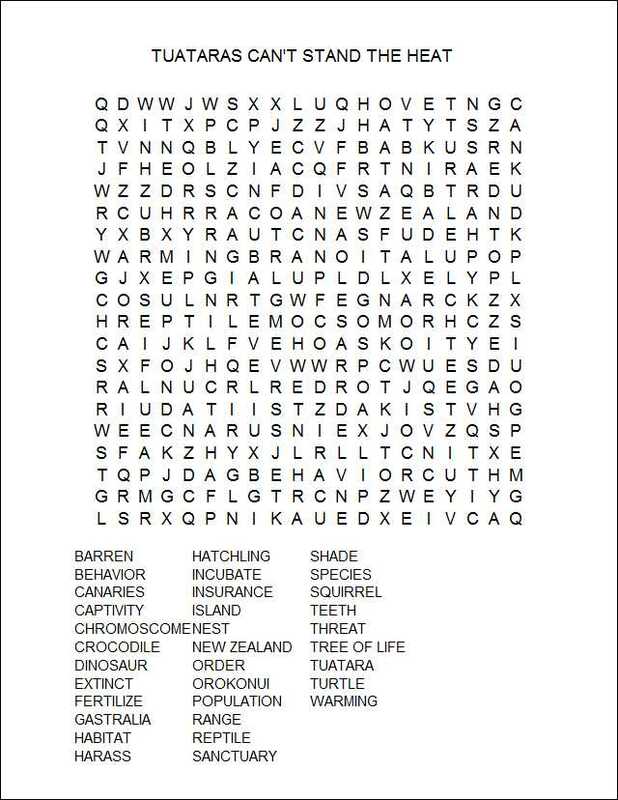 Additional images from Harvard Forest, diagrams of NEE, and a vocabulary list can be found in this PowerPoint. Joe with a Trumpeter Swan. The Kellogg Bird Sanctuary was created in 1927 to provide safe nesting areas for waterfowl such as ducks, geese, and swans. 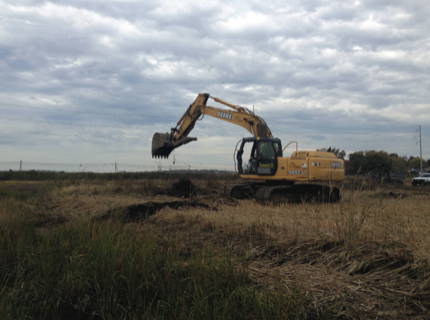 During that time many waterfowl species were in trouble due to overhunting and the loss of wetland habitats. One species whose populations had declined a lot was the Trumpeter Swan. Trumpeter swans are the biggest native waterfowl species in North America. At one time they were found across North America, but by 1935 there were only 69 known individuals in the continental U.S.! The swans were no longer found in Michigan. 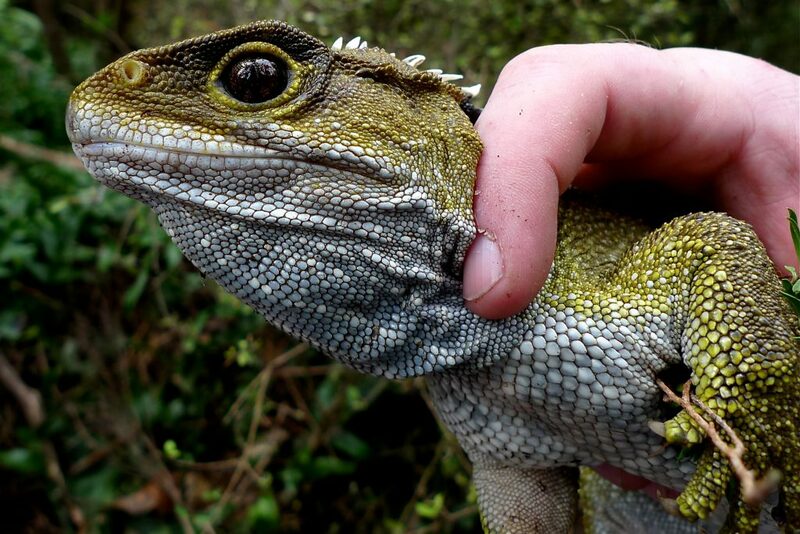 The reintroduction, or release of a species into an area where they no longer occur, is an important tool in helping them recover. In the 1980s, many biologists came together to create a Trumpeter Swan reintroduction plan. Trumpeter Swans in North America can be broken up into three populations – Pacific Coast, Rocky Mountain, and Interior. The Interior is further broken down into Mississippi/Atlantic and High Plains subpopulations. Joe, the Kellogg Bird Sanctuary manager and chief biologist, wrote and carried out a reintroduction plan for Michigan. Michigan is part of the Mississippi/Atlantic subpopulation. 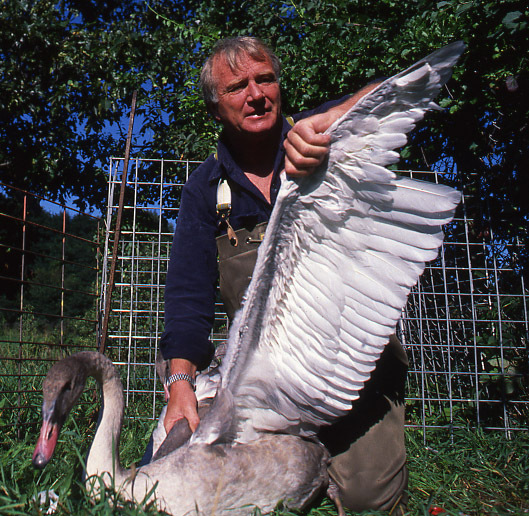 Joe and a team of biologists flew to Alaska in 1989 to collect swan eggs to be reared at the sanctuary. After two years the swans were released throughout Michigan. The North American Trumpeter Swan survey has been conducted approximately every 5 years since 1968 as a way to estimate the number of swans throughout their breeding range. The survey is conducted in late summer when young swans can’t yet fly but are large enough to count. Although the surveys are conducted across North America, the data provided focuses on just the Interior Population, which includes swans in the High Plains and Mississippi/Atlantic Flyways. Featured scientist: Wilbur C. “Joe” Johnson from the W.K. Kellogg Bird Sanctuary. Written by: Lisa Vormwald and Susan Magnoli from Michigan State University. Learn more about trumpeter Swan natural history here and here. The Arctic is Melting – So What? A view of sea ice in the Artic Ocean. Think of the North Pole as one big ice cube – a vast sheet of ice, only a few meters thick, floating over the Arctic Ocean. Historically, the amount of Arctic sea ice would be at a maximum in March. The cold temperatures over the long winter cause the ocean water to freeze and ice to accumulate. By September, the warm summer temperatures cause about 60% of the sea ice to melt every year. With global warming, more sea ice is melting than ever before. If more ice melts in the summer than is formed in the winter, the Arctic Ocean will become ice-free, and would change the Earth as we know it. This loss of sea ice can have huge impacts on Arctic species and can also affect climate around the globe. For example, polar bears stand on the sea ice when they hunt. Without this platform they can’t catch their prey, leading to increased starvation. 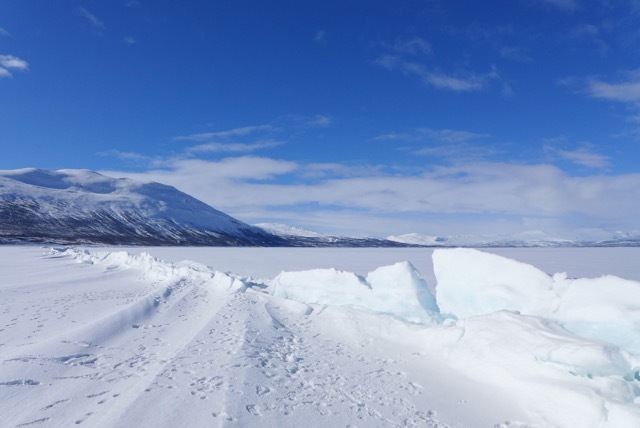 Beyond the Arctic, loss of sea ice can increase global climate change through the albedo effect (or the amount of incoming solar radiation that is reflected by a surface). 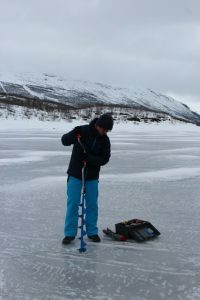 Because ice is so white, it has high albedo and reflects a lot of the sunlight that hits it and keeps the earth cooler. Ice’s high albedo is why it seems so bright when the sun reflects off snow. When the ice melts and is replaced by water, which has a much lower albedo, more sunlight is absorbed by the earth’s surface and temperatures go up. Scientists wanted to know whether the loss of sea ice and decreased albedo could affect extreme weather in the northern hemisphere. Extreme weather events are short-term atmospheric conditions that have been historically uncommon, like a very cold winter or a summer with a lot of rain. Extreme weather has important impacts on humans and nature. For example, for humans, extreme cold requires greater energy use to heat our homes and clear our roads, often increasing the use of fossil fuels. For wildlife, extreme cold could require changes in behavior, like finding more food, building better shelter, or a moving to a warmer location. To make predictions about how the climate might change in the coming decades to centuries, scientists use climate models. Models are representations, often simplifications, of a structure or system used to make predictions. Climate models are incredibly complex. For example, climate models must describe, through mathematical equations, how water that evaporates in one region is transferred through the atmosphere to another region, potentially hundreds of miles away, and falls to the ground as precipitation. 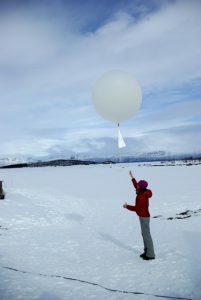 James is a climate scientist who, along with his colleagues, wondered how the loss of arctic sea ice would affect climates around the globe. He used two well-established climate models – (1) the UK’s Hadley Centre model and (2) the US’s National Center for Atmospheric Research model. These models have been used previously by the Intergovernmental Panel on Climate Change (IPCC) to predict how much sea ice to expect in 2100. 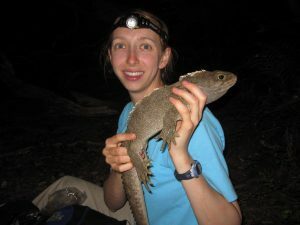 Featured scientists: James Screen from University of Exeter, Clara Deser from National Center for Atmospheric Research, and Lantao Sun from University of Colorado at Boulder. Written by Erin Conlisk from Science Journal for Kids. This Data Nugget was adapted from a primary literature activity developed by Science Journal For Kids. For a more detailed version of this lesson plan, including a supplemental reading, videos, and extension activities, visit their website and register for free! There is one scientific paper associated with the data in this Data Nugget. The citation and PDF of the paper is below. Screen J.A., Deser C., Sun L. 2015. Projected changes in regional climate extremes arising from Arctic sea ice loss. Environmental Research Letters 10: 084006. 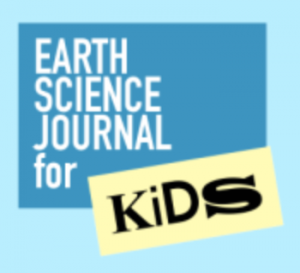 The same paper, written at a middle/high school reading level by Science Journal for Kids, can be found here. You can play this video, showing changes in Arctic sea ice from 1987-2014, overhead at the start of class (no sound required). Each student should write down a couple of observations and questions. 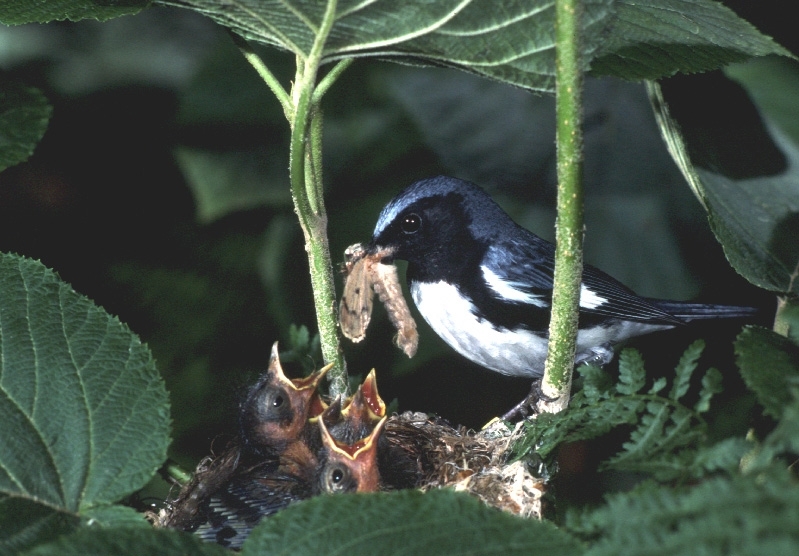 Male Black-throated Blue Warbler feeding nestlings. Nests of this species are built typically less than one meter above ground in a shrub such as hobblebush. Photo by N. Rodenhouse. The Hubbard Brook Experimental Forest is an area where scientists have collected ecological data for many years. 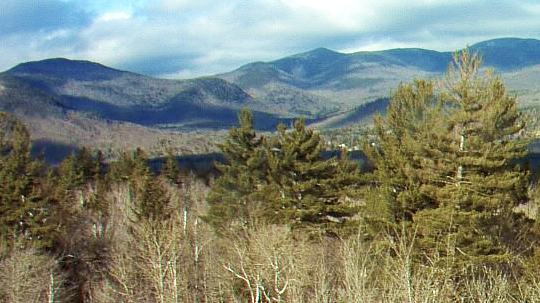 It is located in the White Mountains of New Hampshire, and data collected in this forest helps uncover trends that happen over long periods of time. It is important to collect data on ecosystems over time, because these patterns could be missed with shorter experiments. 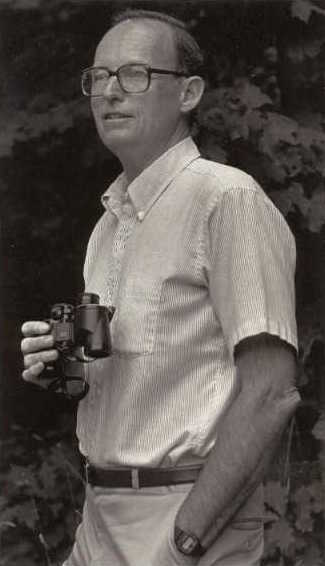 Richard Holmes is an avian ecologist who began this study because he was interested in how bird populations were responding to long-term environmental change. Each spring, Hubbard Brook comes alive with the arrival of migratory birds. Many migrate from wintering areas in the tropics to take advantage of the abundant insects and the long summer days of northern areas, which are beneficial when raising young. 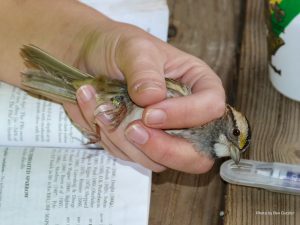 Avian ecologists, scientists who study the ecology of birds, have been keeping records on the birds that live in the experimental forest for over 40 years. 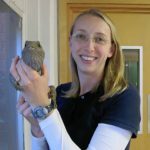 These data are important because they represent one of the longest bird studies ever conducted! Richard is an avian ecologist who began this study. He was interested in how bird populations were responding to long-term environmental changes in Hubbard Brook. Every summer since 1969, Richard takes his team of scientists, students, and technicians into the field to count the number of birds that are in the forest and identify which species are present. Richard’s team monitors populations of over 30 different bird species. They wake up every morning before the sun rises and travel to the far reaches of the forest. They listen for, look for, identify, and count all the birds they find. 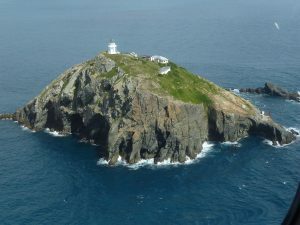 The scientists record the number of birds observed in four different study areas, each of which are 10 hectare in size – roughly the same size as 19 football fields! Each of the four study areas contain data collection points that are arranged in transects that run east to west along the valley. Transects are parallel lines along which the measurements are taken. Each transect is approximately 500m apart from the next. At each point on each transect, an observer stands for ten minutes recording all birds seen or heard during a ten minute interval, and estimates the distance the bird is from the observer. 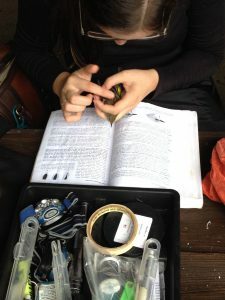 The team has been trained to be able to identify the birds by sight, but also by their calls. 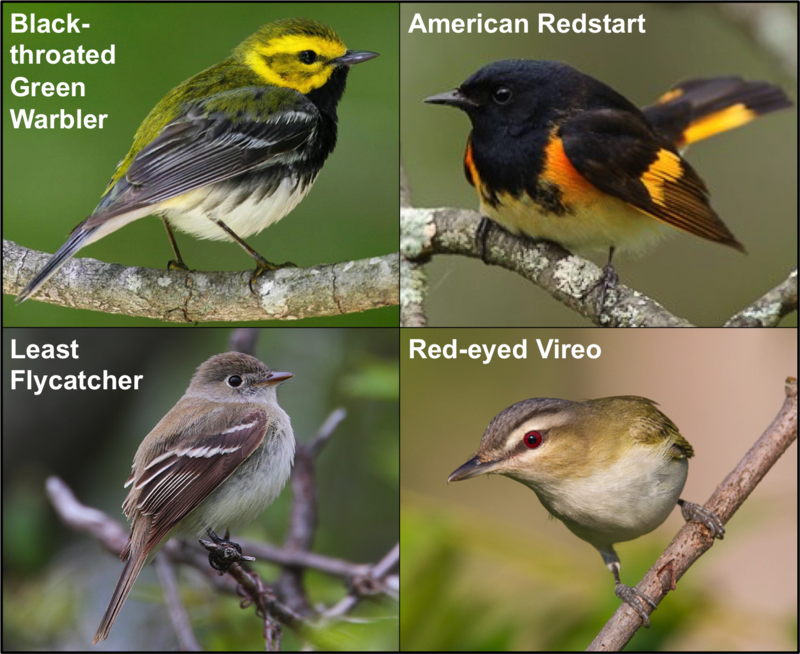 Team members are even able to identify how far away a bird is by hearing its call! The entire valley is covered three times a season. By looking at bird abundance data, Richard can identify trends that reveal how avian populations change over time. Featured scientist: Richard Holmes from the Hubbard Brook Experimental Forest. Data Nugget written by: Sarah Turtle, Jackie Wilson and Elizabeth Schultheis.